Note correct spelling in blog title. Mrs botf and I have found that our local, The Grey Dog, has a happy hour from 4 – 7pm. Giddyup! Perfect timing after a day on the metro in NYC. 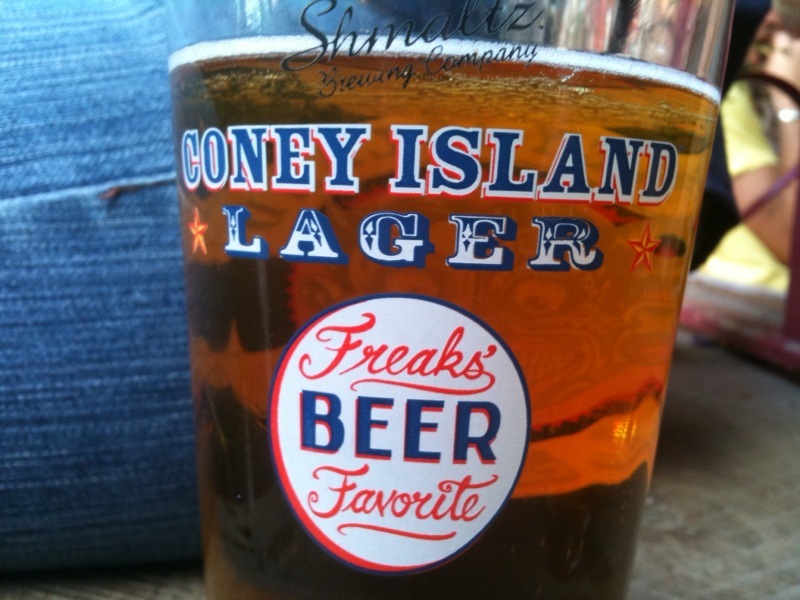 First beer off the rank was Coney Island Lager from Brooklyn. Smooth and low carbonated. New York bars serve their beers in these brilliant widemouth tall glasses that seem to add to the flavour. If I was 5 years younger I would flog each one I drank from. Buy the glasses. http://www.web-stores.biz/shmaltz/ Maybe you can get an express order. What’s your age got to do with it? Zimmer Frame in one hand, glasses in the other.